USB sticks are made from one piece of wood without using any glue because the magnet holds the cover in place. Wood is oiled which keeps the structure of the wood intact and gives it a natural feel. Each USB is unique and can be further customized by engraving your desired text or logo. These artfully crafted USB drives store 16 GB (3.0) and are a combination of function and design. 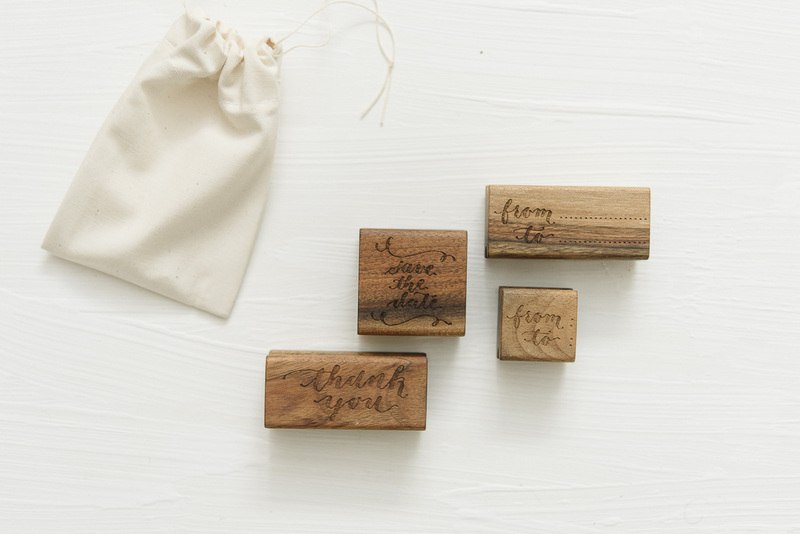 Wooden stamps are also handmade from Slovene walnut wood. Wood is oiled which keeps the structure of the wood intact and gives it a natural feel. Please be aware that wood is completely natural and no stamp will look the same making each one unique. Each stamp can be further customized by engraving your desired text or logo. • Can be engraved with your logo, illustration, names, etc.